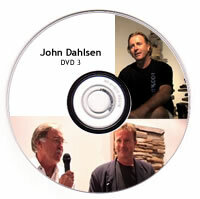 Dr. John Dahlsen has produced a series of DVD’s. The series are are essentially compilations of various movies and interviews made over the years. DVD 1 This DVD has three chapters and covers how the journey into making this environmental art began. It includes an in-depth interview, a twenty-five minute movie about the making of the commissioned artwork ‘Absolut Dahlsen’ plus a movie about the artist’s artwork titled ‘Catalogue’. DVD 3 This DVD has two chapters. The first chapter is an interview between George Negus and the artist at a gallery exhibition opening of John Dahlsen’s work. 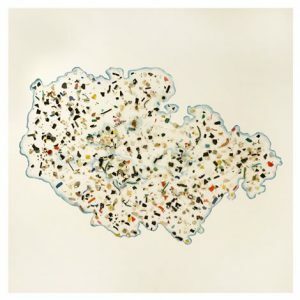 The second chapter is an in-depth interview between Alison Laird and the artist in his studio. Apart from these DVDs, Dr. John Dahlsen has available, CD’s, books and e-books, and conducts seminars about the above topic, in which he has specialized for the past twenty years. Includes sections on simple steps for artists to make multi-pillared streams of income. These other products also include a complete section on questions to and answers from the artist. 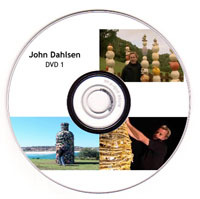 The DVD’s are available here for sale as hard copies and as MP4 downloads from this website focus on John’s experiences in the field of environmental art. These give insight into artist’s work on a variety of topics, positive insights helping artists and other people interested in the arts to have a rewarding life in the art world.